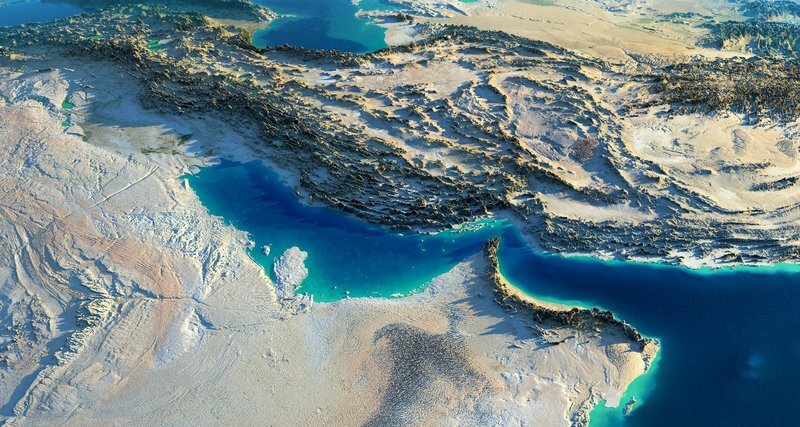 This mock-up of a satellite image depicts a proposed channel that could be built to isolate Saudi Arabia’s neighbor and rival, Qatar. On Monday, reports were published on Saudi Arabia’s alleged plan to turn rival nation Qatar into an island. A senior Saudi official — Saud Al-Qahtani, a senior adviser to Crown Prince Mohammed bin Salman — tweeted (in Arabic): “I am impatiently waiting for details on the implementation of the Salwa island project, a great, historic project that will change the geography of the region.” Rumors of the project have emerged since diplomatic ties between Qatar and Saudi Arabia were cut off over a year ago. The plan is still awaiting government approval, but has already invited five international companies for a bid. Fighting broke out Monday between rival militias in the Libyan capital Tripoli after a short lull, raising fears of a worsening situation in the city wracked by violence for more than a week. Libya is divided between two competing governments — one based in the capital Tripoli and the other in east Libya. Over the past week, several truces have failed to hold in Tripoli, prompting the city’s government to declare a state of emergency on Sunday in the capital and its suburbs. The parliament headquartered in the east has warned the violence threatens a civil war in the country and will derail a plan to hold elections, which are scheduled for December 10th. However, doubts abound whether the vote will be held as scheduled due to political feuds and logistical problems. Libya has slid into anarchy since an armed uprising in 2011 against late dictator Muammar Gaddafi. In recent months, the oil-rich country has suffered economic woes and a lack of basic services, including frequent power outages. As Syrian President Bashar al-Assad attempts to turn military success into postwar reconstruction, Western sanctions on the country could be a major obstacle that deters off foreign companies from investment and development. Assad’s allies — Russia, Iran, and China — have made some investments in the country, but they cannot afford the cost of rebuilding and want other countries to share the burden as well. U.S. sanctions on Syria predate the crisis, but were expanded after Assad’s crackdown on protests in 2011 and again as the country slid into war. The sanctions have frozen the assets of the Syrian state and hundreds of companies and individuals, including government figures, military and security personnel and others accused of involvement in making or using chemical weapons. On Friday, the leaders of Iran, Russia and Turkey met at a high stakes summit in Tehran to discuss the future of Syria as a bloody military operation looms in the last rebel-held area of the war-ravaged nation. Each laid out terms and issues on the battlefield most critical to their own concerns. While Turkey proposed a ceasefire, the trio was unable to come to an agreement. One thing they group did agree on, according to one analysis, was that the United States’ presence is seen as a nuisance. Digital news site, Al-Monitor, argued that, “In Syria, America has come to be seen as the threat to Iran, the spoiler for Russia and an irritant for Turkey.” Iranian president Rouhani said that “No positive role on the Syrian issue can be expected [from the United States]. Their barbarian and illegal interference in Syria contradicts every international rule, their presence only deteriorates and complicates peacemaking efforts in Syria.” There are international warnings over a looming humanitarian catastrophe in Idlib, a province hosting more than three million people, half of whom are internally displaced. Russia is committed to helping Assad reclaim the territory from a variety of rebel groups whereas Turkish president Erdogan “warned of a ‘bloodbath’ in the event of an all-out assault on the northwestern provinces.” Iran and Russia are major allies of Syrian President Bashar al-Assad, while Turkey backs certain rebel groups, including some in Idlib, who are seeking his removal. Yemen’s Houthi rebels told Al Jazeera on Friday that they had been prepared to attend UN-sponsored peace talks in Geneva — and could attend future talks — if some of their demands are met. The talks, which would have been the first in nearly two years, were scheduled to take place in the Swiss city on Thursday but have been delayed twice in two days after the Houthi delegation failed to leave Sanaa, the capital city of Yemen. The demands include the transportation of wounded fighters to Oman for treatment, along with a guarantee that the delegates will be able to return to rebel-held Sanaa from Geneva. The Saudi-UAE military alliance, which has been at war with the Houthis since March 2015, blamed the Shia rebel group for its absence at the talks, but the Houthi news agency, Saba, defended the group’s absence, reporting that the Saudi-led alliance was “refusing to give required authorizations to an Omani plane in the capital Sanaa to transfer the [Houthi] delegation to Geneva.” The agency reported that the Houthis also blamed the UN for failing to secure the authorizations from the alliance which controls Yemen’s airspace. And, on a lighter note, check out this CNN report on the United Arab Emirates’ first female superhero, who just happens to wear the Islamic headscarf, while fighting crime. The artist, Abu Dhabi-based Fatma Almheira (Abu Dhabi is one of seven emirates, each with its own ruler), decided to create her own supergirl while in the United States, where she encountered many false assumptions about Muslim women. 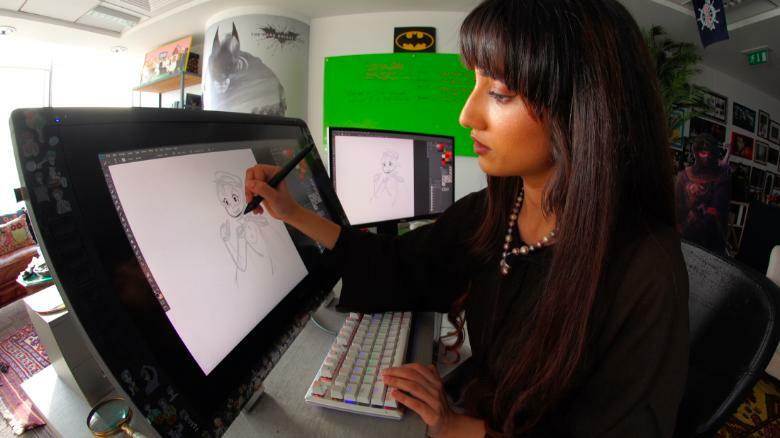 CNN has more: The first homegrown female Emirati superhero, Emara is gaining attention around the world. By day, she’s a typical teenage girl named Moza. By night, her fearless alter ego fights crime on the teeming streets of the United Arab Emirates. Fatma Almheiri was just 21 when she created the mini-series on YouTube in 2016. “Emara” now boasts over 75,000 subscribers. Almheiri says that throughout her childhood she couldn’t relate to the characters she saw on television. “Emara is the superhero I wanted growing up, that I didn’t get to have. This is me putting it out to the younger generation.” Although Almheiri does not wear a headscarf, Emara — and some of the show’s other characters — do. “I wanted Emara to dress modestly because … there are no hijabi main characters [in the superhero world],” says Almheiri.